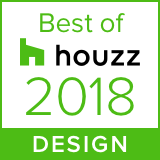 Typically when designing for a commercial space, we strive for efficient and eye-catching design, but we also want to create a unique and engaging experience for our clients. 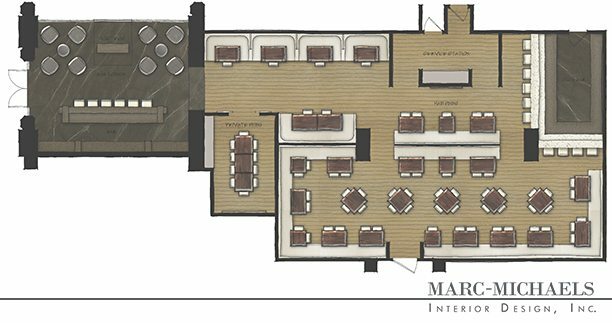 The team at Marc-Michaels Interior Design has been working on a restaurant design for a hotel. 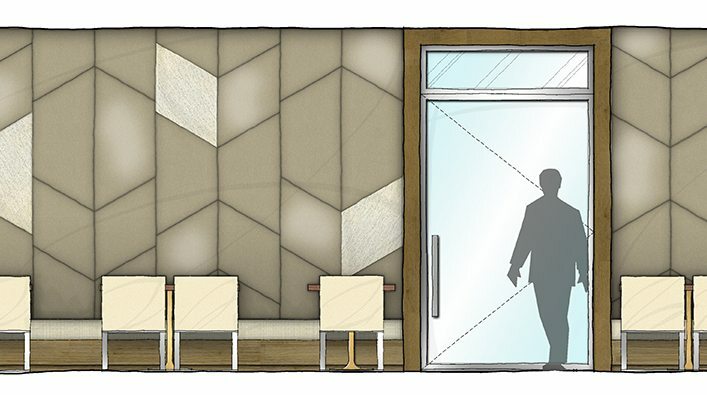 Tara Kaufmann – Director of Interior Detailing, and Jessica Lee – Senior Designer, are going to tell us a little bit about their experience with restaurant design. 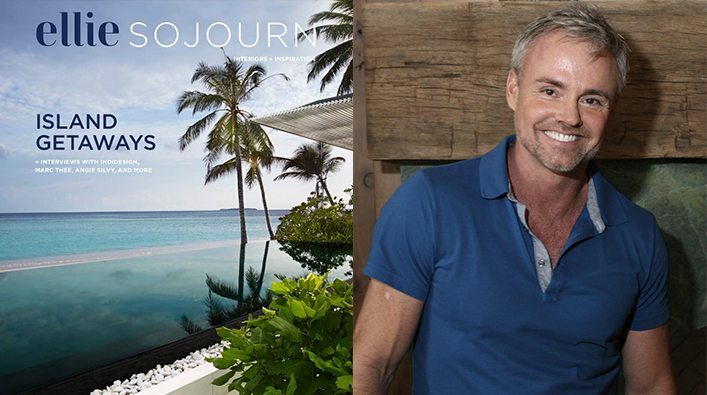 Q: When designing a restaurant, do you feel like you have more creative freedom than with a residential project? The answer is yes and no. There is more creative freedom when it comes to details and finishes. For a restaurant, you can really go above and beyond when it comes to scaling, lighting effects and layering of eye-catching finishes whereas in a residential setting you would want to use those elements sparingly. On the flip side, commercial design can become limiting when it comes to space planning and space efficiency. You have to consider that large volumes of staff have to come and go performing different tasks all the while not disturbing a set number of customers who want to enjoy a relaxing dining experience. 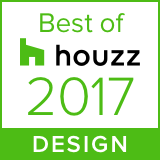 Q: What is the most unique design detail in the restaurant? I think the floating banquette tucked beneath the oversized wood surround with the custom 17’ glass leaf light installation is stunning! Almost every table in the restaurant has a great view of this show stopper. Q: What separates the bar area from the rest of the dining area? We really wanted the customer to feel welcomed as soon as they arrived and we wanted the experience of waiting to be seated at your table to be just as enjoyable as the dining experience itself so we located the bar and the waiting area in the same entrance vestibule. 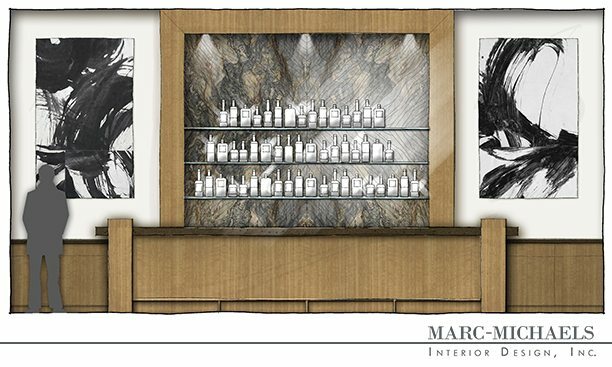 The customer is greeted by a simple but elegant hostess stand flanked by huge floor to ceiling glass and a comfortable waiting areas as well as a beautifully lit book matched marble slab bar with plenty of seating for patrons to sit and enjoy a drink before they are seated. Q: How does Marc-Michaels’ design enhance the experience for the customer? Because of drama we created with all of the design layers from the detailing to the finishes to the furnishings, the customers feel like they are entering a completely different world from the time they walk through the front door. There is attention to every detail that makes it feel like a complete experience, not just a great meal. Q: Does the design team furnish the space all the way down to the silverware, plates and napkins? Ideally yes, we would make all of those selections but they are provided by a supplier of the client’s choice.